There are a lot of gaming desktops out there these days, featuring large towers and aggressive designs, but none of them are quite like the HP OMEN Desktop 880-125se. If you want a gaming PC with plenty of room for expandability and easy upgradability, this one is worth considering. There is even a built-in carrying handle at the top of the case. The rear of the case features a locking mechanism for the cover, which can be opened without any tools. Once the cover is open, you’ll see that there is plenty of extra space inside for adding new hardware and making replacements if necessary. This is a highly customizable machine, with a wide variety of storage, memory, and CPU combinations to choose from, right at the start. When customizing your desktop with the specs you need, use HP OMEN Desktop 880-125se coupons to help keep the price down. There are 4-DIMM memory slots, so the RAM is upgradable to 32GB. There is a total of one external bay (9.5-mm occupied) and four external bays (three 3.5-inch bays still available, only one occupied). Keep in mind that this is not a 4K gaming rig, but it’s still powerful enough to handle all other games. The machine is powered by a 500-W “Bronze” energy-efficient power supply and is EPEAT Silver registered. External I/O ports include several USB 3.0, 2.0, and 3.0 Type-C ports and a microphone/headphone combo. The video connectors include 3 DisplayPorts, 1 HDMI, and 1 DVI. Hook the HP OMEN Desktop 880-125se to any display you want. This tower weighs 38.8-lbs and has dimensions of 17.41-inches x 7.56-inches x 16.43-inches (W x D x H). It comes with an HP USB wired mouse and keyboard w/ volume control. When powered on, the interior of the Omen lights up with red LEDs. While it is not the most powerful gaming desktop on the market, it still offers plenty of room for expandability. Its base configuration is well worth the price. 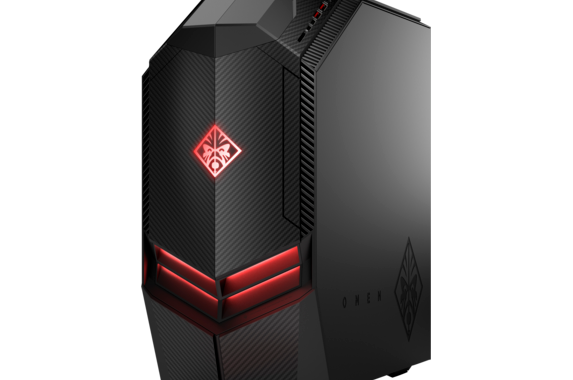 The HP OMEN Desktop 880-125se is a great choice for a gamer on a budget who wants enough flexibility to expand and upgrade in the future. Now that you know what to expect with this computer, it’s time to start looking over all of the configuration options. Be sure to use HP OMEN Desktop 880-125se promotional codes so that you’ll be able to afford the hardware you really want. 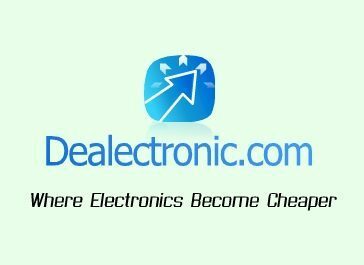 Posted in Desktop Reviews, HP Desktop Reviews, HP PC Reviews and tagged desktop, hp, hp desktop, hp omen desktop 880-125se.